Jan Durst & Pauli Johannes Laakso ! Watch out! No tricks inside! 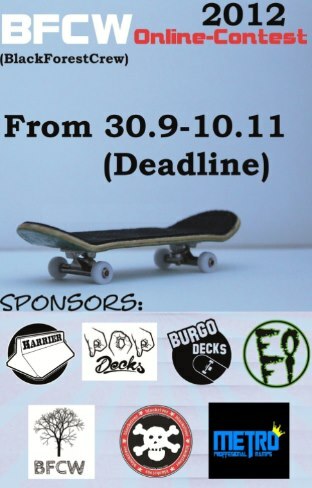 “Hi guys we (the BFCW) are running an online contest from 30.9.2012-10.11.2012. In your videos we want to see some nice style, clean editing and some nice tricks (realism / hard tricks). There will be prize packages for 5 lucky winners! Thanks to all the sponsors and thanks to Ben who helped me very much!